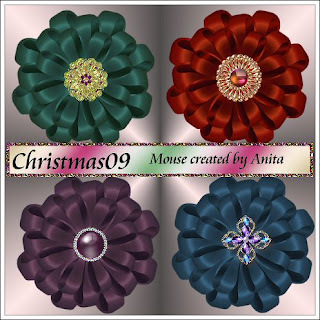 Four satin bows each with its own gem in the middle to add to your festive creations. Psp and png format. Thank you so much for this Freebie. I want to let you know that I posted a link to your blog in CBH Digital Scrapbooking Freebies, under the Page 3 post on Dec. 04, 2009. Thanks again.